Detroit has plenty of fun activities to do as a family. 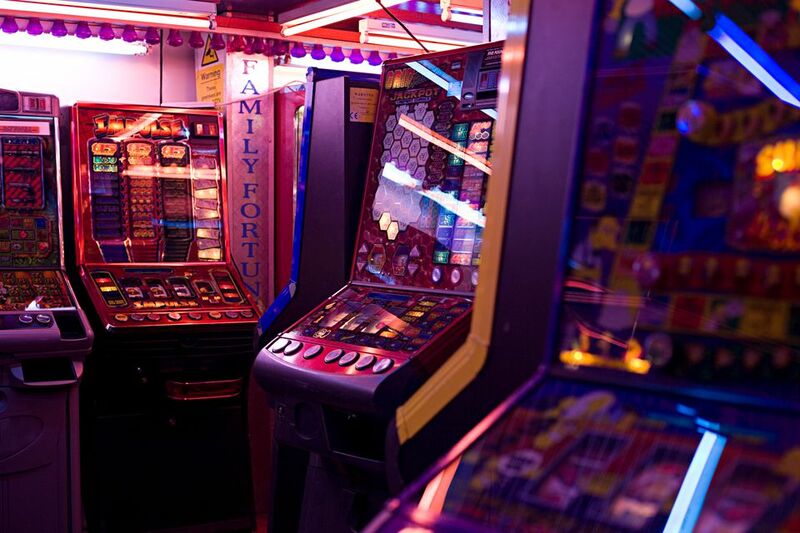 Although there are several venues for laser tag, whirlyball, and paintball, some of the best all-in-one entertainment complexes feature a variety of activities, such as arcades, go-karts, and miniature golf. Designed as an indoor amusement park for kids, Jeepers has a fairway, rollercoaster, twirling rides, bumper cars, a small play structure, and a train. Food is of the carnival variety and includes hot dogs, chicken nuggets, and nachos. Jeepers is located in Auburn Hills, a half-hour north of downtown Detroit. Marvin's is an arcade and museum in Farmington Hills that features vintage coin-operated games from the 1960s to today. There are rides for young children as well as a collection of antique posters, pinball machines, and puppet shows. It has a small eating area with long tables and benches, as well as a concession stand with pizza, hot dogs, and cotton candy. Although the Fieldhouse is mainly a sports venue with courts for basketball, volleyball, and roller hockey, it is also home to the Bayou Adventure Entertainment Center. The 30,000-square-foot space has a huge arcade, a slot-car raceway (remote-controlled cars), bowling, miniature golf, a high-rope course, trampolines, a climbing wall, and laser tag. Private rooms are available for parties, and its summer camps are popular for kids. Jungle Java is reminiscent of the Discovery Zone franchise that used to have outposts across the Metro Detroit area. There are three Jungle Java locations in Canton, Clinton, and Farmington Hills, all 40 minutes outside Detroit. They each have a huge, themed play structure for kids and a coffee bar for the parents. C.J. Barrymore's offers a range of indoor and outdoor activities. It has an arcade, batting cages, bumper boats, go-karts, laser tag, mini golf, a rock wall, water-balloon wars, a driving range, and a sports bar. Go-kart raceways, a climbing wall, soccer cages, trampolines, and miniature golf are available in the warmer months at Paradise Park. However, the indoor arcade and laser tag area are open year-round. Lucky Strike is a mixed-use entertainment complex with a bowling alley, arcade, and bar. There is an area near the back of the arcade with video games appropriate for younger children and a prize-redemption counter. Like GameWorks and Dave & Busters, Lucky's uses a card filled with points rather than tokens, and the games can be pricey. Chuck E. Cheese needs no introduction. In addition to age-appropriate gaming areas, the arcade and restaurant ​have a play structure and puppet shows. The pizza packages are relatively expensive, but all the arcade games run on just one token. To avoid the crowds, don't go on the weekends when there are many children's birthday parties. Dave & Buster's successfully merges daytime, family entertainment with a night-time bar scene. The sprawling space houses a bar, a restaurant, and a large arcade area, along with several private rooms and a pool hall. The food is reasonable, and the wait staff is helpful and friendly. Just keep an eye on how much money you add to the Dave and Buster's card—it's easy to lose track of the cost of games.